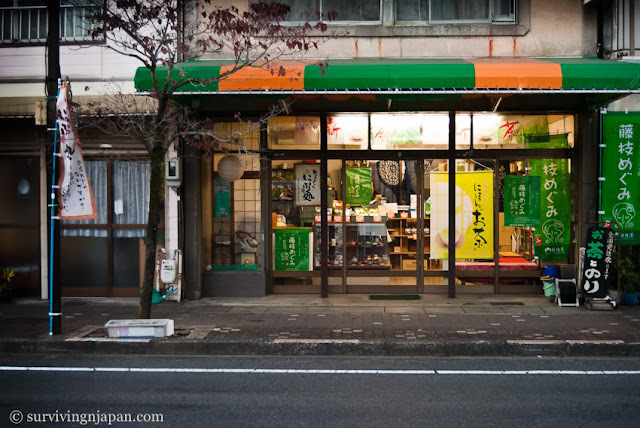 A street-side shop in Fujieda, Shizuoka, Japan. Firms have few grounds to refuse staff paid leave (Japan Times) - The helpful folks from the Tokyo Public Law Office take over the Lifelines column for the week (they answer legal questions the second week of every month) to address paid leave rights of employees. Yes, employees are entitled to paid leave, no matter what their employer says. Flu season has peaked nationwide, say health officials (Japan Today) - Let's hope it has peaked and this whole flu business is now over with. Ikea to open first Kyushu outlet (Japan Times) - Any Ikea fans in Kyushu? 7 Non-Rice Dishes You Can Cook in a Rice Cooker - Did you know you can cook a whole chicken in a rice cooker? Yeah, neither did I. Not sure if I'll try that one though. Miso's 'moya moya' (Japan Times) - If you've ever wondered about that cloudy stuff that gathers in the middle of your miso soup, here's a lengthy explanation. (I honestly never wondered about it, but it is interesting). Kakaku.com Unveils “Tabelog Yoyaku”, Online Restaurant Reservation Site (Asiajin) - Great idea, although I'm curious how many restaurants will participate, and in what parts of Japan. All-You-Can-Eat Sushi in Tokyo Only 1050 Yen! (But Per-Plate Penalty If You Can’t Finish) (RocketNews24) - Who's up for 食べ放題 (たべほうだい, all-you-can-eat) sushi? Although I'm curious, is all-you-can-eat sushi popular, or even commonly available in the US? I don't think there were any places like that near where I lived. Kaiten-zushi was popular though. Kōji — Japan's vital hidden ingredient (Japan Times) - Koji is a fermenting fungus used in a variety of Japanese food. Foreign visitors off for 11th month (Japan Times) - So, who's coming to visit Japan? 'Thank You' visitor campaign starts (Japan Times) - Well, if you are visiting, Japan would like to show you their appreciation. Subway to shorten Narita, Haneda trips (Japan Times) - This doesn't appear to be much shorter than the Keisei Skyliner, at first glance, but the Keisei is 36 minutes from Ueno to Narita, while this subway line is expected to get you from Tokyo station to Narita in 37 minutes. Google Street View Takes You Inside Ancient Japanese Caves [VIDEO] (Mashable) - Travel and explore some of Japan's caves, without leaving your living room! Flightfox Outsources Your Airfare Search to Save You a Ton of Time and Money (Lifehacker) - I'm curious to try this and see what they come up with. Seems like a fantastic potential resource. [Updated] Cherry Blossom (Sakura) Blooming Forecast 2012 - Yes, this is an SiJ link, but some of the dates have changed so want to let you all know! App Translates Your Face Into Emoticon [kaomoji] (Japan Trends) - Now this, is a cool app. Take a picture of your face, and the app translates it to an emoticon you can use in a text, email, whatever. Tokyo's rabbit cafes hopping with customers (Japan Times) - This link was quite popular when I shared it, so, here you go. Hop on over to see some fuzzy bunnies! Ramen Shop Serves Mountains of Meat, Gets Customers and Laughs (RocketNews24) - If you're vegetarian, vegan, or just plain grossed out by a giant pile of meat, don't click this link. Japanese Shoppers Buying Tomato Juice Like There’s No Tomorrow (RocketNews24) - Local supermarket out of tomato juice? This could be why. Japanese facial corset promises cuteness in just 3 minutes! (Japan Subculture Research Center) - For those of you pining away for a smaller face. Put children before politics (Japan Times) - A quote from the article, "Medical experts are deeply concerned about children and their radiation exposure and the potential hazard to their health." Not just them, I'm concerned too, as I'm sure many parents are. Grandparents stifle grief to raise orphaned boy (Japan Times) - Absolutely heartbreaking. Coins to commemorate March 11 (Japan Times) - Unfortunately these will primarily be sold/given to individual investors who purchase disaster-reconstruction bonds.